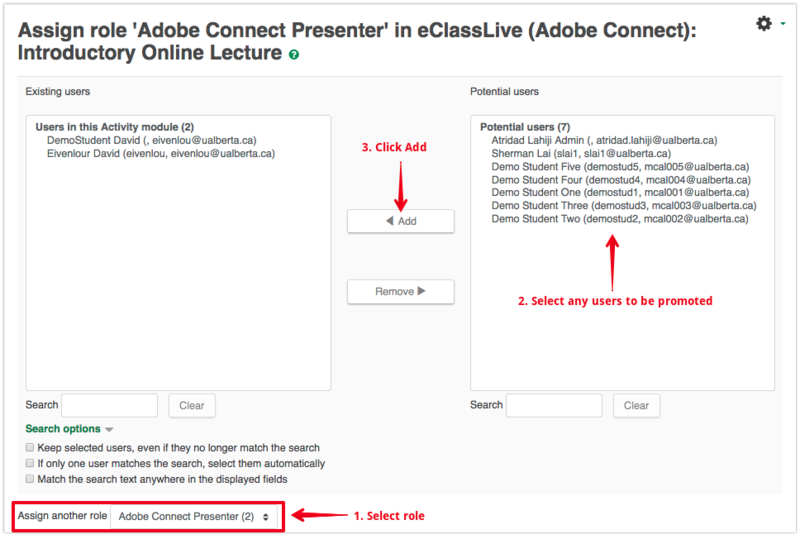 By default in regular eClass credit courses there is generally no need to customize roles in eClassLive. Users entering through eClass will be assigned the correct permissions based on their role in the eClass course - for more information on the available roles and mappings, see here. 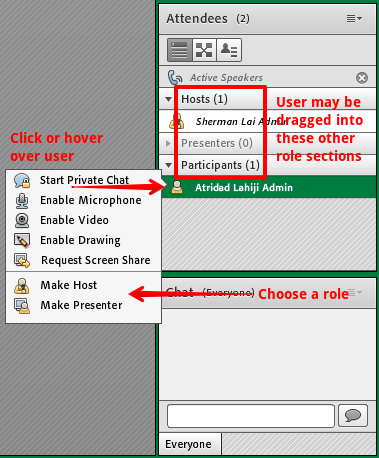 If you have guest presenters joining your session via an emailed link, you can elevate their permissions easily through the Connect interface. There is no limit to how many hosts or presenters you can set for a session - just be aware that multiple speakers (and changes to the interface) can cause confusion in your meeting so the fewer the better in general. For more information on the range of user role customization including elevating permissions only for particular pods, see Enhancing Participant Permissions in eClassLive. Once they have joined the session, find their name in the Attendees pod and then click to select it.